Well cricket in India is not just a sport but literally a common religion that binds people across all castes and communities. The craze for it too cannot be described in words, not just for those who love to see this game, but budding cricketers, who would go all out to test themselves once they enter into a cricket field. 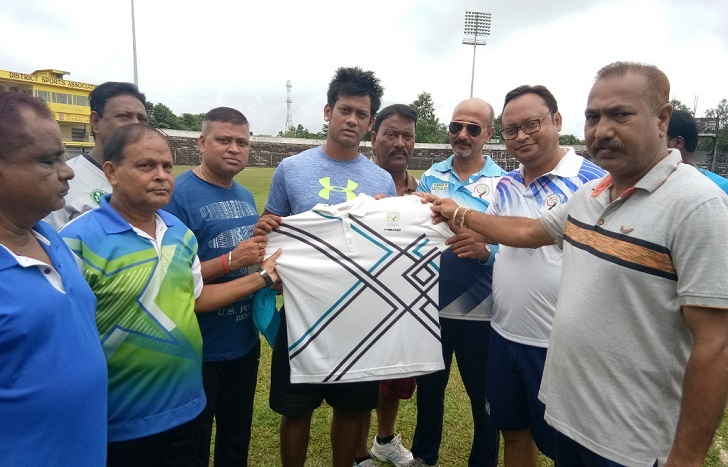 Keeping all of these in mind, Silchar Veteran Cricketers Club (SVCC) established in March 2017, keeping their motto of ‘by the cricketers, of the cricketers, and for the cricketers’, has roped in the services of Assam Cricket Association’s fitness trainer, Bhaskar Borah, who has commenced his seven-day fitness training program in Silchar on Friday. Bhaskar Borah who started his career as a fitness trainer five years back, has himself been trained from Australia, and now is associated with various IPL’s Indian and International players. Not only that, he is the official trainer of Assam’s U-23 cricket team, for which, SVCC has sought his services to train the current cricket players of Silchar across all age groups, beginning Friday. A minute’s silence was observed today before the opening of the fitness training programme that commenced at Silchar District Sports Association ground, paying tribute to the departed soul of Ex Prime Minister of India Late Atal Bihari Vajpayee. A formal T-shirt for the trainer was handed over to Bhaskar Borah by SVCC members for this seven-day training programme which has been segregated into two clusters. One group for the veterans above 35 years of age, while, the other group would comprise current cricket players of Silchar district. “Our focus is not just to train current cricketers of Silchar, but we are also training some coaches of Silchar Cricket Academy for them to carry forward what they learn from Bhaskar Borah,” Niranjan Das, SVCC secretary, said.